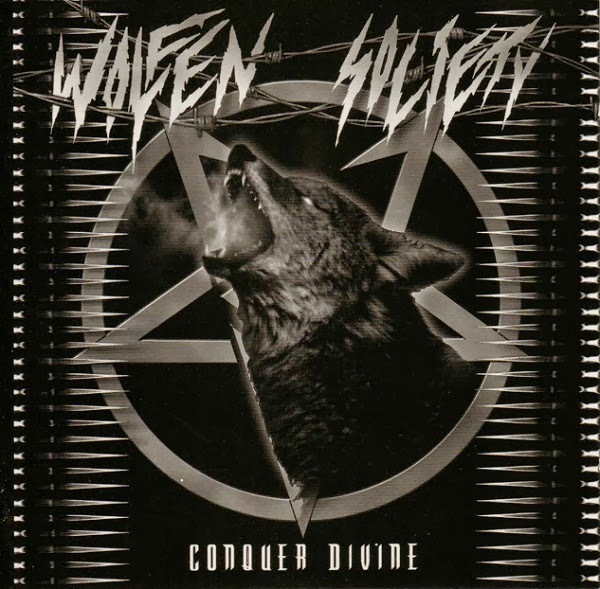 Moving on to something more thrashing and old style, here's WOLFEN SOCIETY "Conquer Divine". This MCD is a bit old, but it still kicks asses. Featuring Vincent Crowley from Acheron, Mikael Svanberg from Dark Funeral and Kyle Severn from Incantation.